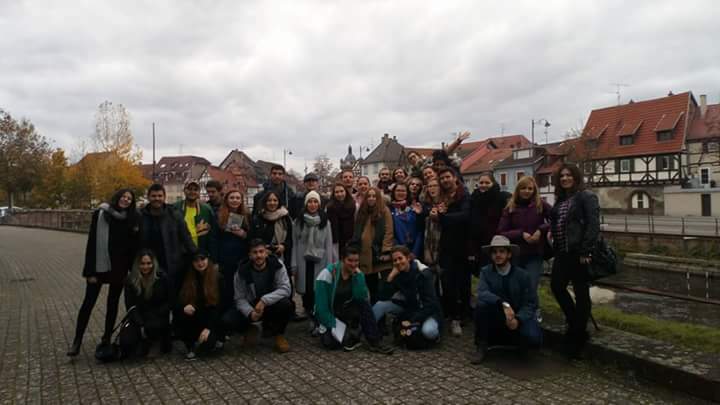 Between October 30 and November 5, 2017, we spent an amazing time in a youth exchange that aimed to enhance our creativity, immerse in French culture and meet amazing people from 5 countries – Macedonia, France, Greece, Romania and Lithuania. Our experience started off with team-building activities. We all had the opportunity to organize energizers and activities, the floor, in our venue in MJC La Vancelle, was always open to suggestions and activity proposals. The main activities were engaging and creative. We spent 3 days of artistic activities: we drew T-shirts, we created collages with the topic of contribution of youth exchanges in the lives of youth such as ourselves, and we were introduced in the universe of chromotherapy, the art of mandalas. The space was filled with our works. We had the oportunity to go hiking on the nearest hill to La Vancelle, and we visited the ruins of Frankenbourg Castle. We explored a typical town in Alsacia, Selestat and we had a full day visit to Strasbourg. The evening parties were inclusive and very entertaining. Our team got to know each other 2 days before the start of the youth exchange and we kept our high energy and enthusiasm in our group dynamic throughout the project. "I've just spent a week having the most relaxing project. And by that I don't mean that I didn't involve in the activities, but in the contrary, I was 100% there and that relaxed me. Why? Because we gathered there to celebrate creativity and ways to use it in order to attract youth participation. Did it work? For me it totally worked, and my team would give you the same answer. We learnt to use simple things as t-shirts, words, colors, music, paper, scissors and old magazines to create our own universe for a week. Of course, there are so many other things that I’ve learnt during the day to day interaction with others: to share, to listen, to understand, to tolerate and to love souls you've never met before. I learnt that I shouldn't care about what mean voices tell me and trust my feelings, I learnt to trust my feelings and even to show off with my completely non-musical voice. So, a 10 to the receiving organision, a 10 to all the participants, a 10 to my group leader and a big 10, from all my heart, to the whole project! " "To me it was a fine project, the participants were amazing and I was able to meet some very interesting people, I am a bit disappointed I did not learned that much about other countries’ cultures, especially about France, but the French participants were way over my expectations. I loved all the activities from the bottom of my heart, I could think of no better way to make a memorable Youth Exchange. My note for this project is gonna be 7/10! And I would like to say thank you to Erasmus Plus for making something like this possible. #ErasmusPlus #MakesDreamsComeTrue"
"Another Erasmus + project, a new adventure. 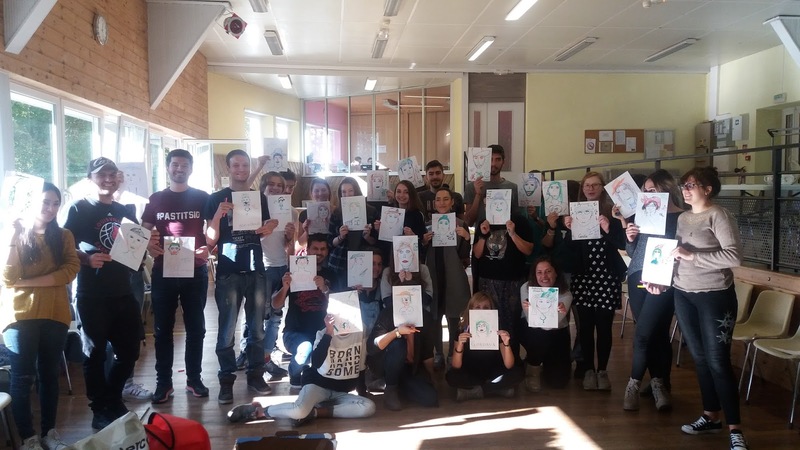 I was very excited to receive the email that announced that I was part of the group of Romanians who will participate in the "Creative Arts for Youth Participation" project, traveling to France, La Vancelle. I prepared myself early, with some information on the topic of the project, but to my surprise it was not necessary. All activities went so well that everything came by itself, me and all the members of the project, I caught the information in flight, easy, because many of them were presented in the form of exciting games or presentations. All this information, and the opportunity to socialize with so many people, with different cultures and traditions, have contributed a lot to my personal development, and that in a relaxing and fun way. I think such an opportunity deserves to be used to the maximum and I am glad that I took part in this project." "As a person involved in many organisations, in many activities, who had her share of awesome experiences, I can certainly testify that this youth exchange is one of the best projects I was ever involved in. Different people, from different countries with different personalities, all mixing together in a one hell of a week. During the day, we were involved in creative workshops, meant to develop ourselves, and during the night we were having fun, learning from each other. I really want more experiences like this! " "Thank you all for this amazing experience! Thank you Andreea Toma for being so patient and such a good leader for our team! I will always remember the discussions about feminism and the karaoke night! Thank you Eric Mercklin and Mahomed for being the best host that we could possibly had! I've learned a lot from you but also had a looot of fun. Eric-with his costumes' parade and Mahomed leading the trip into the forest. Great memories! And thank you all, my Romanian, Macedonian, Greek, French and Lithuanian colleagues for sharing parts of your culture, experience, knowledge, kindness and creativity! For me this project was like a breath of fresh air, reminding me to enjoy life more often. It exceeded by far my expectations by proving that you can learn things through games. I had a lot of fears when I arrived in La Vancelle but the people that surrounded me were so kind, wise despite of the age, that I felt so comfortable to express myself. I'm proud that I was part of this project and I'm looking forward for new ones! Hopefully they will be at least 50% as good as this one. #lotsoflove"